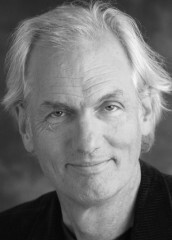 Webb Keane is the George Herbert Mead Collegiate Professor in the Department of Anthropology at the University of Michigan. He is the author of Ethical Life: Its Natural and Social Histories (Princeton 2016), Christian Moderns: Freedom and Fetish in the Mission Encounter (California 2007), Signs of Recognition: Powers and Hazards of Representation in an Indonesian Society (California 1997), and co-editor of The Handbook of Material Culture (Sage 2006), as well as numerous articles on social theory, materiality, language and semiotics, media, religion, and ethics. He is currently working on ethical questions in Indonesian Islam.